No Parking on Unimproved Sidewalks: the Law and the Sheriff are Clear! Parking on unimproved sidewalks has been a hot topic in Castro Valley lately. 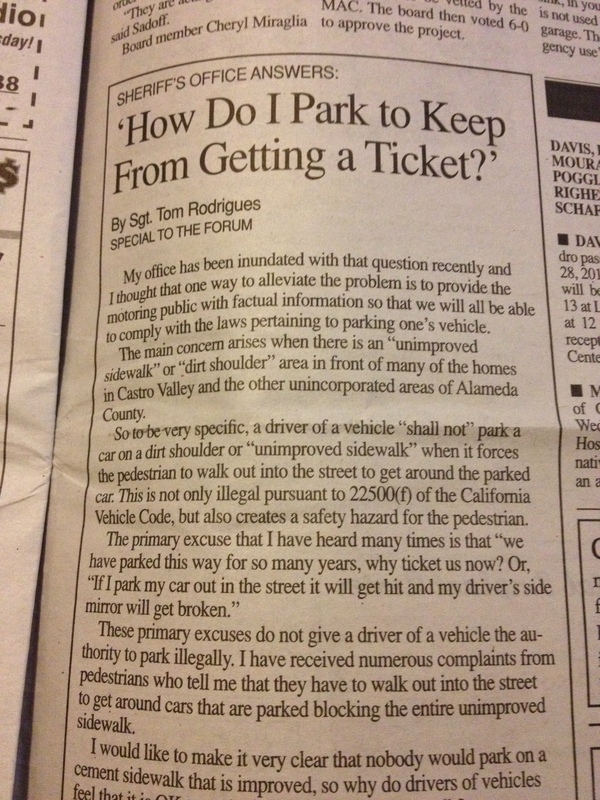 In the December 10, 2014 issue of the Castro Valley Forum, Sgt. Rodrigues of the Alameda County Sheriff’s Office Eden Township Substation had a clear and helpful column about how to park on unimproved sidewalks. In short: don’t! Castro Valley has some very narrow streets, some areas with no curb or gutters, and no demarcation line separating the roadway from the unimproved sidewalk, however we should never park our car in a manner that forces a pedestrian to walk out into the street as this is very unsafe. I would suggest that if you are reading this and you live in Castro Valley or in any area without curbs and gutters that you leave at least 4 feet of space between the right side of your car and the area between where your car is parked so that a pedestrian can walk in safety. Part one of Sgt. 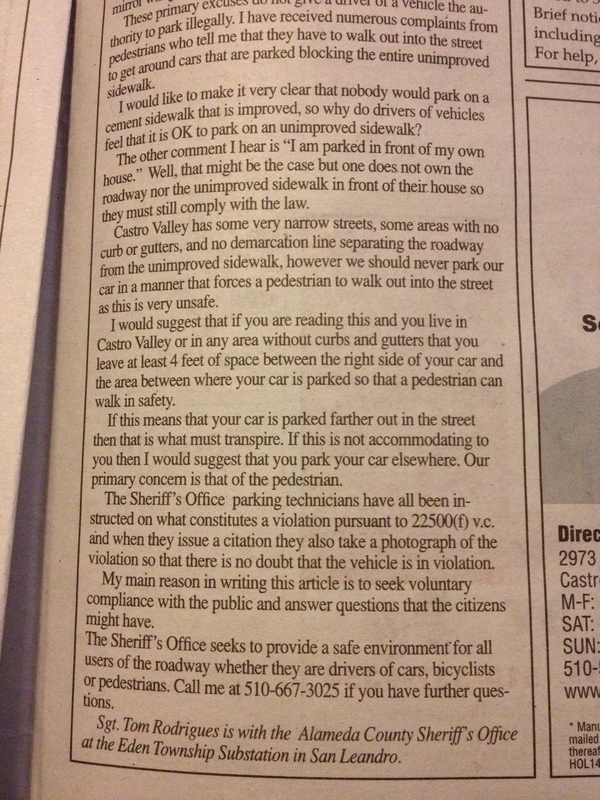 Rodrigues’ letter in the 12/10/2014 Castro Valley Forum. Part two of Sgt. Rodrigues’ letter to the 12/10/2014 Castro Valley Forum.